The Alaska Board of Game is scheduled to discuss three controversial issues affecting Black Bears during their next series of meetings during October 8-12. 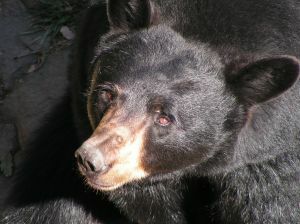 The issues would legalize the taking of any Black Bears, including sows and cubs, the use of cruel traps for Black and Brown Bears, and the reclassification of Black Bears as “furbearers,” which would allow for the sale of bear body parts and skins. These new measures would make room for the indiscriminate killing and removal of Black Bears from Alaska without requiring the Board of Game to complete the normal process of drafting a formal predator implementation plan. Under this plan, the Board is required to gather data data on the proposals, including the numbers of predators and prey in specific game management units, provide proof that any control actions are necessary in these units, and publicize the plan before authorizing such controversial methods of control. Without these measures of protection, the Black and Brown Bears of Alaska are under serious threat of abuse and eradication through over-hunting and disruption of normal family cycles. Please contact the Board of Game to express your concern for this lack of due process on such questionable and negligent methods of “predator control.” Please contact Chairman of the Board Cliff Judkins and Vice Chairman Ted Spraker along with members Ben Grussendorf, Teresa Sager Albaugh, Stosh Hoffman Jr., Lewis Bradley, and Nate Turner by faxing your letter to (907) 465-6094 or calling (907) 465-4110. Boards Support Section phone (907) 465-4110 fax (907) 465-6094. Big Wildlife thanks you for the work you do to help us protect nature’s precious species!